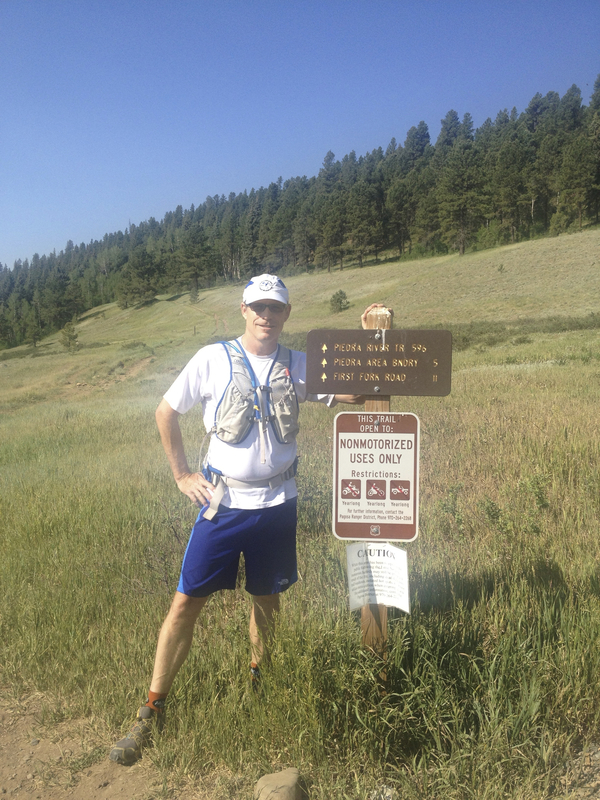 The West Fork Complex Fires robbed me of the best trails I planned to run while on vacation this week. Namely, the West Fork Trail, Windy Pass Trail and Turkey Creek Trail. If you click on that link above, know that my cabin is half way between the West Fork Fire and Pagosa Springs on Hwy 160. The fires burned over the ridge of the Continental Divide so I was never in danger. The wind did shift today though and is blowing the smoke toward my cabin. I leave tomorrow so perfect timing. This link shows the original smoke from space. With my planned trails no longer an option, I simply had to plan new trails. I can’t imagine any trail being better than the one Keith and I ran today. 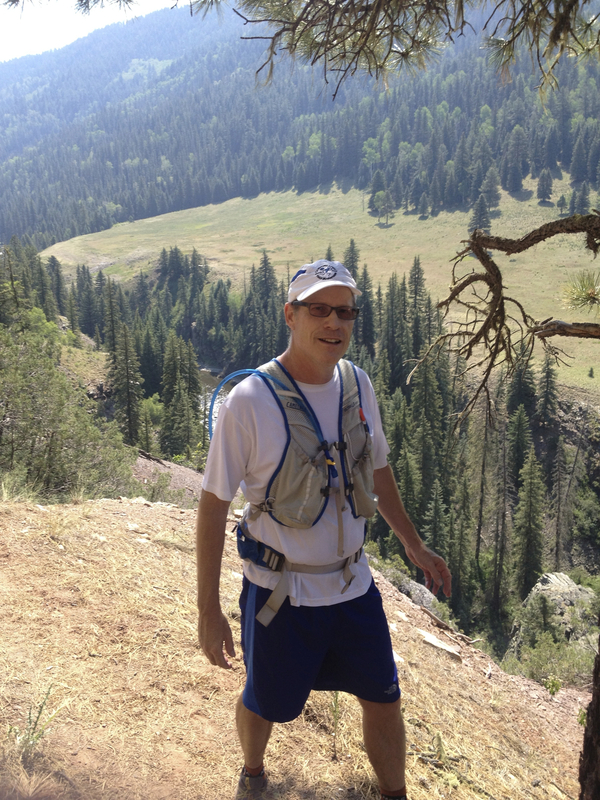 We got in 9 miles on the Piedra River Trail – starting from its trailhead on Piedra Road about 20 miles north of town. Seriously, this is one of the most fantastic trail runs in my life. Rolling hills – totally manageable – along a river through a high-walled canyon. Mountain bikes not allowed. 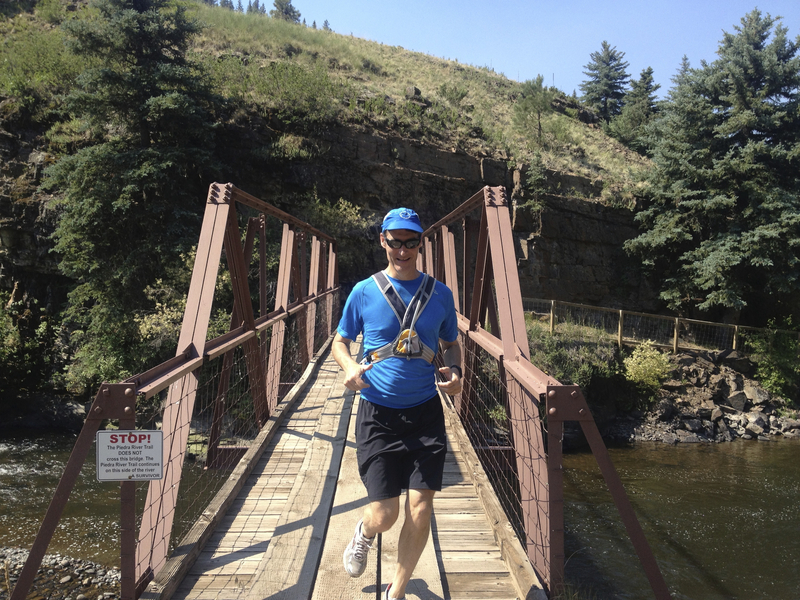 This is the quintessential trail run and if you find yourself near Pagosa Springs you need to consider making time for it. The trail forks after a few steps and the sign suggests the lower option down to the river. I’m not sure where the upper trail goes – other than up. 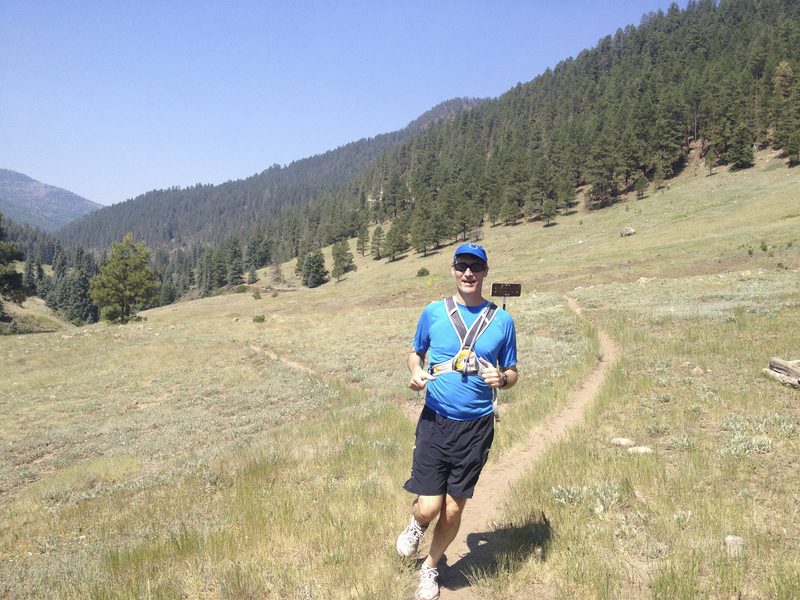 The trail alternates between running alongside towering canyon walls, trees and meadows. It was over 90° so I’m thankful there wasn’t too much open meadow. I completely emptied my water reservoir on this two hour run which I rarely do. I misread a sign as I ran past it that detailed the Piedra Stock Driveway Trail forking downward to the left and our Piedra River Trail veering uphill to the right. Maybe I just wanted to run downhill at that point. This mistake did include a cool bridge but the trail quickly became difficult to follow and eventually disappeared completely. 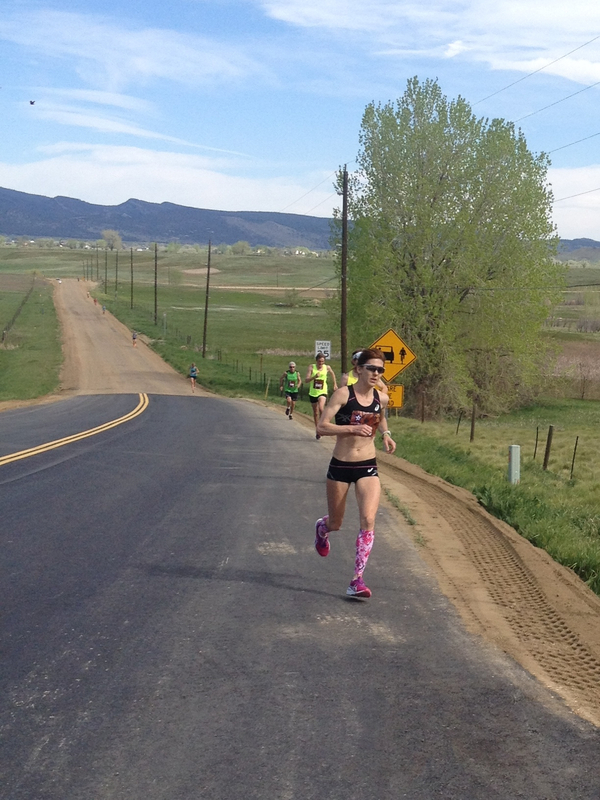 A fly fisherman at the trailhead said there was a marathon run on it a few years ago. It actually turns away from the river which I wasn’t expecting. I suspect that is why we lost the trail. This accounted for about a mile round trip from the fork. We returned and continued on the original trail until we felt turning back would make for a two hour run. The meadow behind me in this photo is actually several hundred feet below and across the river. It’s the meadow where we lost the wrong trail. As we turned back, we encountered some lady hikers that we had passed earlier. One was carrying barbed wire so we asked why. The two girls work for the Forest Service and are conducting tests with blackberries to determine the number of black bear in the area. They encircle the berries with the wire and it collects hair from the bears which they use to identify distinct ursine berry-eaters. Keith lead us on the return to the trailhead. I noticed two things this week about Keith’s running. One, he is strong uphill. Two, Keith has developed his trail legs and is much stronger now downhill where it’s more about confidence and skill than conditioning. You get a good sense of his trail running in this YouTube video. He enjoyed this trail too. He is training for the upcoming Epic Relay where this week’s elevation and hills will be put to use. 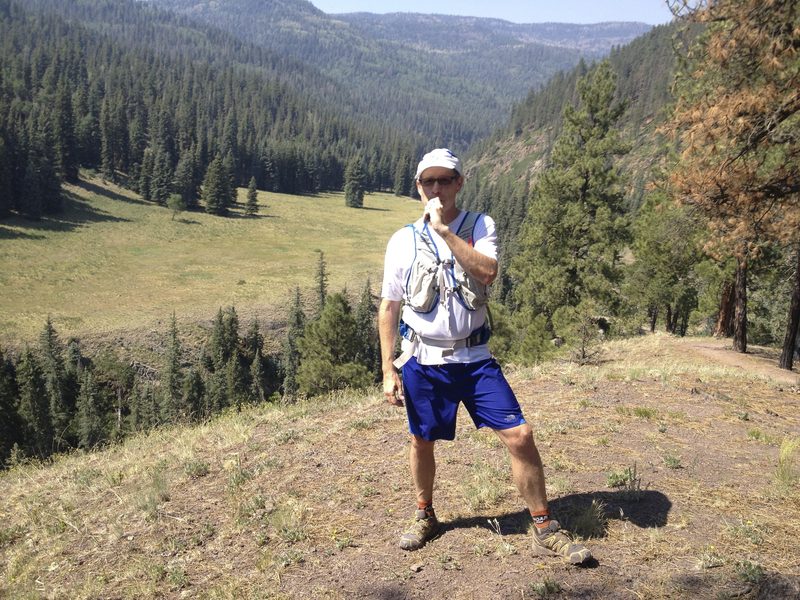 Man, I had the best week ever running, hiking and biking the trails around Pagosa Springs. The fires did nothing to abate my enjoyment of the area. Many days I worked out twice. It’s truly incredible that the friends I vacationed with this week all did similar activities. Susan and Amy must have biked well over 100 miles this week. I think they did 50 today. Dave coached me on a mountain bike. To my knowledge, no one shopped. We hit the Hot Springs most nights and took turns cooking dinner. Best vacation ever with with a bunch of fit friends.